The 2019 Mercedes-Benz E-Class is available as a coupe, sedan, wagon, or convertible, so there’s a configuration for pretty much everyone. The E-Class sedan is a mid-size luxury car with all the elegance and style of a Mercedes and the performance to match, especially in the new E450 we test drove. The E450 also showcases the latest technologies with a fully featured infotainment system and advanced safety features. 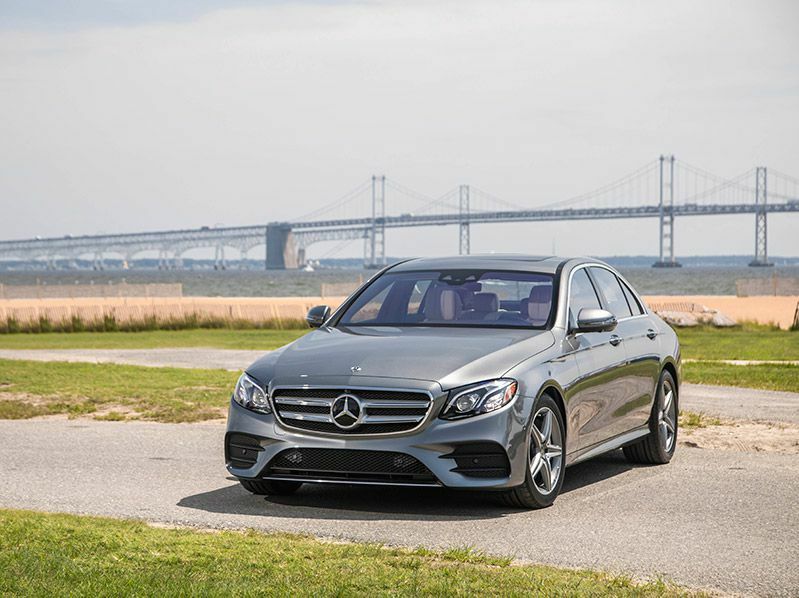 This all comes at a premium that is out of reach for many buyers, but those in the market for a mid-size luxury car will find plenty of good reasons why the 2019 Mercedes-Benz E450 should be on their list. This year's trim lineup has changed. 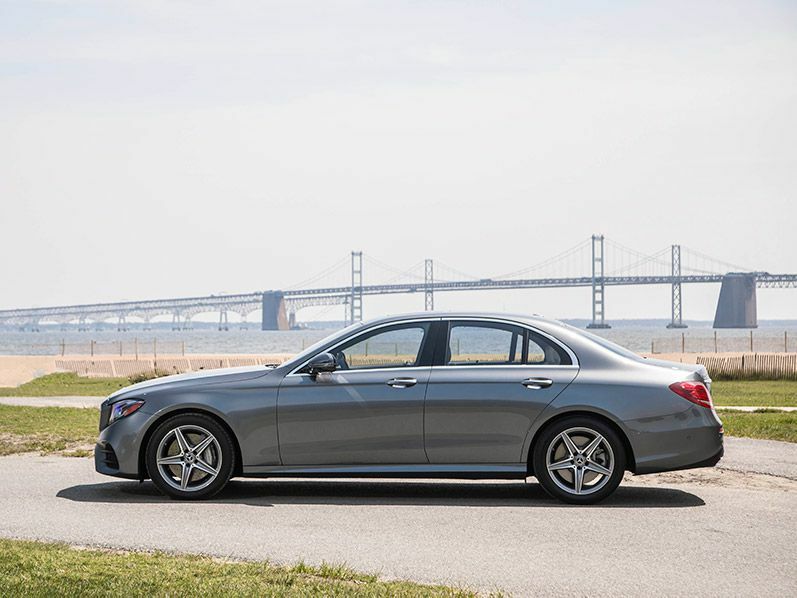 The E-Class sedan had a slight shuffle in its trim lineup for 2019. There are four trims, starting with the base E300 sedan at $53,500, which includes standard rear-wheel drive. The E300 is also available with all-wheel drive for an additional $2,500. Last year, the next trim in the lineup was the E400, but this year that trim is gone, replaced by the new E450. The E450 is available exclusively with all-wheel drive at a base price of $59,950. 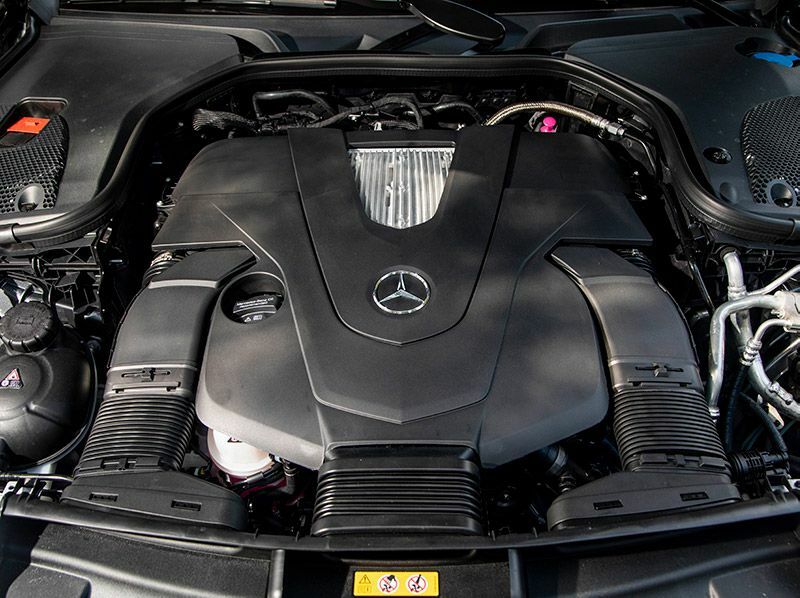 Mercedes gave it a new name to account for the more powerful V6 engine than what was offered in the outgoing E400. Next up in the model range are the AMG models, which put the focus squarely on performance. 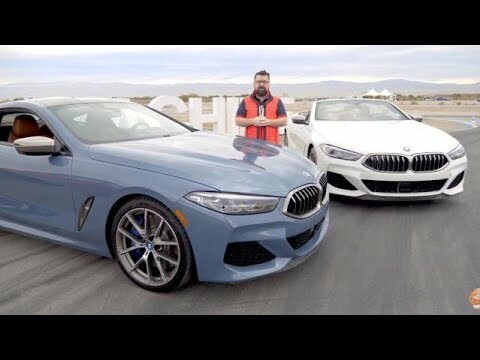 The AMG E53 is priced at $72,550 while the AMG E63 comes in at $104,400. Options can add a lot to the final price. The E450 sedan at $59,950 is modestly priced for a luxury car and comes equipped with a solid suite of standard features. 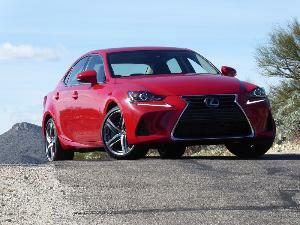 Our test car, however, included nearly $30,000 worth of options. This is more than a lot of people will pay for their whole car. Some of the pricier options included a Burmester high-end 3D surround sound system for $5,400 and the Designo package at $4,900, which added unique leather trims, contrast stitching, headliner, floor mats, and chrome door pins. These features add to the overall luxury vibe of the E450 at the same time they add to the bottom line. Safety features including a driver assistance package at $2,250 and parking assistance package at $1,290 helped the price creep up even further. Although quite well-equipped without options, if you choose to enhance your E450 with added features, be prepared to pay considerably more for the privilege. The new E450 offers more power than the old E400. The E400 from last year is replaced by the E450 for the current model year. 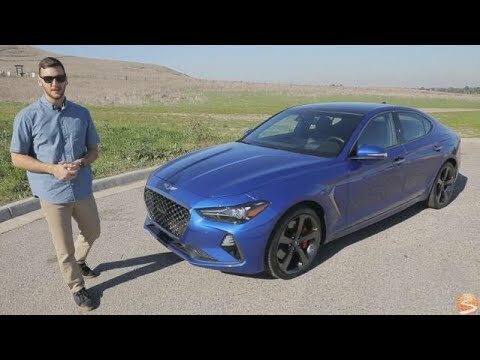 It has a more powerful twin-turbocharged 3.0-liter V6 with 362 horsepower and 369 lb-ft of torque paired to a nine-speed automatic transmission. While people may immediately think luxury when they think Mercedes, a few minutes behind the wheel of the E450 will remind you this is also a performance brand. Acceleration is strong and an aggressive foot on the gas gets you up to highway speeds in no time with a 0-60 mph time of only 5.0 seconds. Eco, Comfort, Sport, or Sport+ drive modes are available through the AMG Dynamic Select toggle on the center console. These adjust the throttle, shift points, steering, and auto start/stop to suit your preferences. Choose the last two settings on that list and the E450 fully embraces its performance chops with an exhilarating drive experience. That additional power doesn't hurt fuel economy. The usual drawback to more powerful engines is reduced fuel economy, which can cost you over time, especially if gas prices take a jump. The E450 has more power than the old E400, but surprisingly it manages to get better fuel economy. 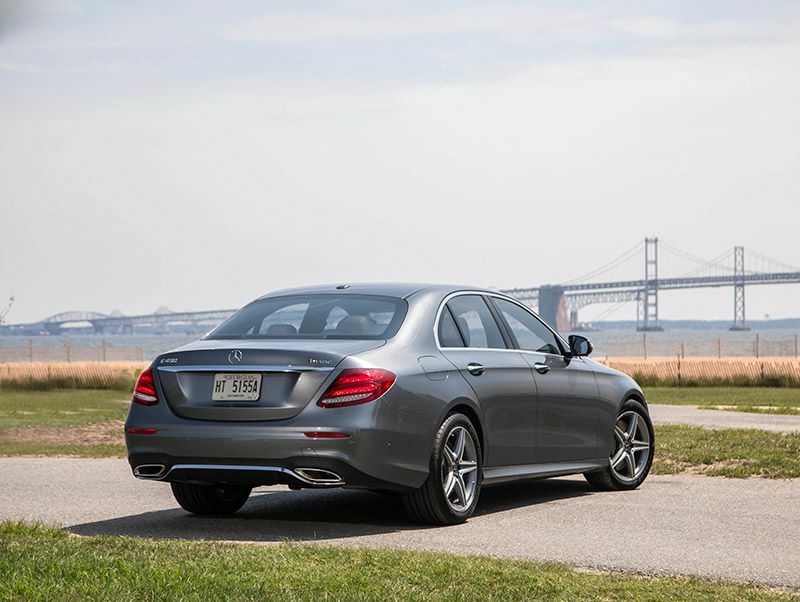 The E400 got an EPA-estimated 20 mpg in the city, 27 mpg on the highway, and 23 mpg combined. The E450 gets the same combined and city mileage but gets 28 mpg on the highway. It’s only 1 mpg, but the fact the number doesn’t go down is impressive. 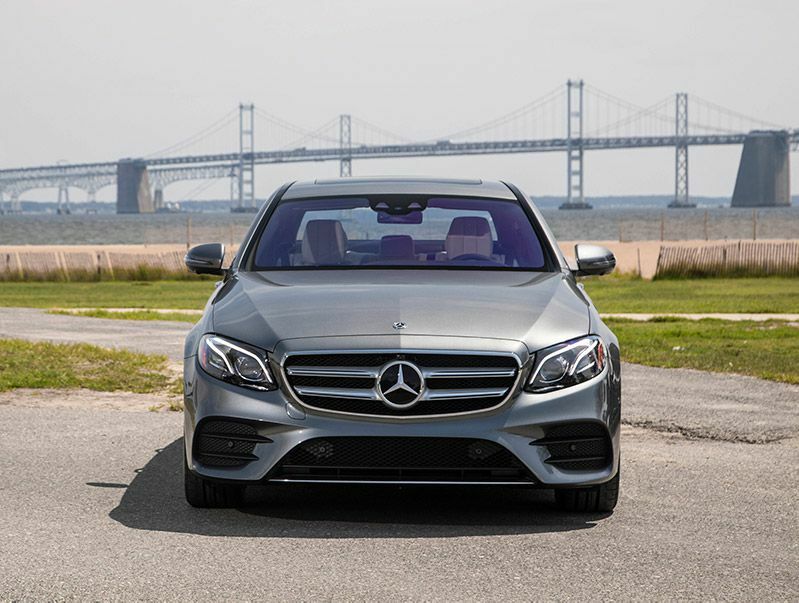 If you’re looking for better fuel economy in your E-Class sedan, then there’s the E300 with its 241-hp 2.0-liter turbocharged four-cylinder. 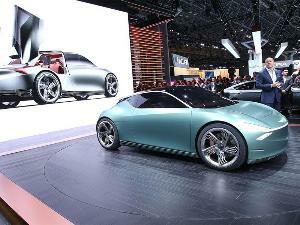 It gets an EPA-estimated 21 mpg in the city, 29 mpg on the highway, and 24 mpg combined. Fuel economy is only slightly better, but it’s a solid option for those who make that a priority. The ride is smooth and incredibly quiet. sedans are focused on being comfortable for passengers rather than being cargo haulers. The Mercedes-Benz E450 offers room for five passengers, although the rear seat is tight for more than two. It has an impeccably quiet ride and steering that is tight and controlled, requiring little effort on the part of the driver. No matter where you sit, the ride is smooth and relaxing, even over rough road surfaces and across rutted, snow-covered highways. No worries about road or wind noise, even in heavy rain and wind. Our E450 came with an optional acoustic package that added extra cabin insulation and an acoustic and heat absorbing membrane to the windshield and side windows for $1,100. We piloted the E450 through sleet and driving snow and were still able to easily converse with rear passengers. The E450 makes passenger comfort a priority. The interior is simply gorgeous. Mercedes-Benz is a luxury brand, and the E-Class interior looks and feels every bit the luxury car. 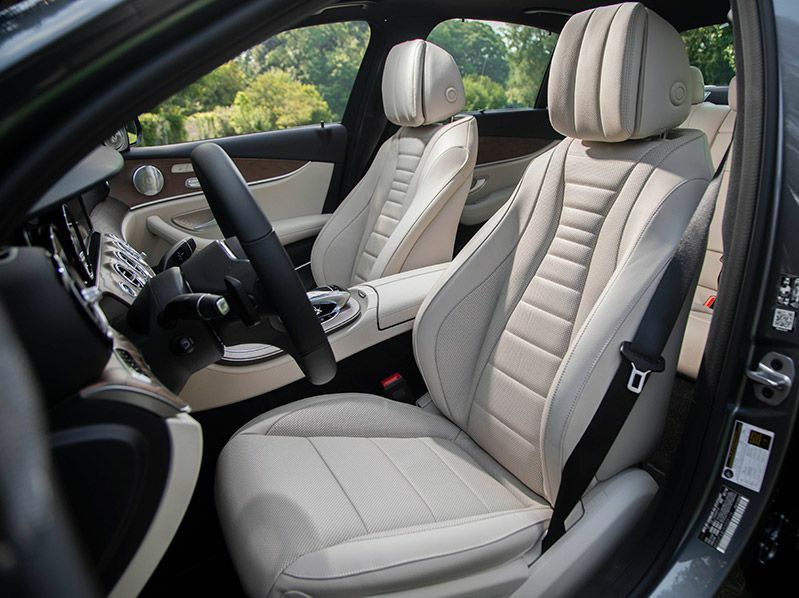 The seats are quilted Nappa leather with additional leather trims on the doors and dashboard accented by natural grain wood. The power front seats include four-way power lumbar and three memory positions that also adjust the four-way power steering column and even the side-view mirrors. Optional heat and ventilation along with active contour front seats with massage make the E450 supremely comfortable on even the longest road trip. Those in winter climes will appreciate the available heated steering wheel and heated front armrest. There’s also standard dual-zone automatic climate control and multicolor ambient lighting to create the perfect mood in your E450. You can even opt for an air-purification and fragrance system that includes one of several fragrance atomizers housed in the glove box. The infotainment sytem has a learning curve. The COMAND infotainment system in the E450 features a standard 12.3-inch high-resolution display, but it’s not a touchscreen. Instead, functions are controlled by a touchpad controller and dial on the center console. It takes a little getting used to, and if you’re coming from a touchscreen, then you’ll find yourself ineffectively stabbing the display at first. However, getting the hang of the console controls doesn’t take long. These controls sit where your hand naturally rests and consist of a mouse-like touchpad over a large rotary knob. There are touch keys for common functions, like getting back to the home screen, and you can swipe and pinch the touchpad the same as you would on a tablet or smartphone. 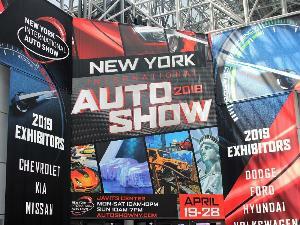 Apple CarPlay, Android Auto, and Bluetooth audio streaming are standard, along with navigation that’s easy to follow on the large display screen. There’s a learning curve, but it’s a quick one. It gets high marks for safety. 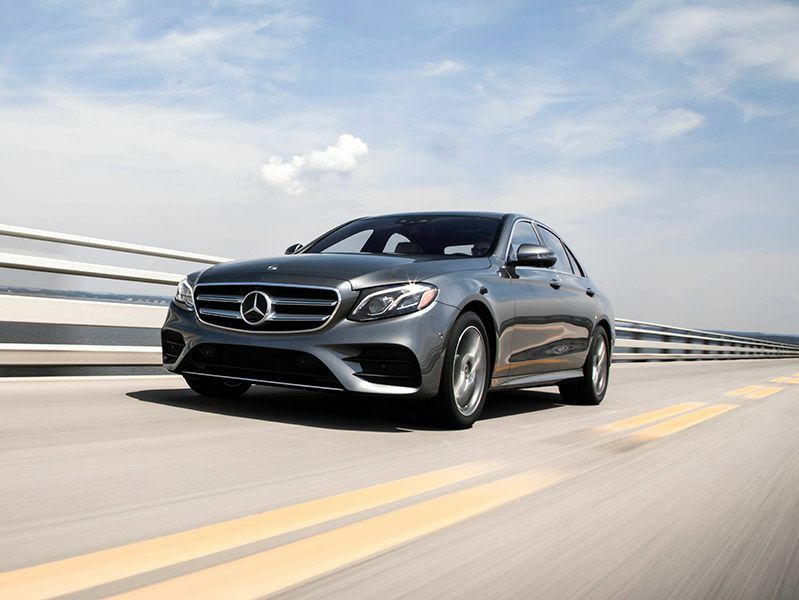 The Insurance Institute for Highway Safety gave the 2019 Mercedes-Benz E-Class sedan its highest rating of Good in all crash tests, as well as for its headlights and ease of use of its LATCH system. It also received a top rating of Superior for front crash prevention technologies, which earned it a 2019 Top Safety Pick+ rating. Standard safety features include brake assist, crosswind stabilization, and rain-sensing windshield wipers. There’s also Pre-Safe, which tightens the front seatbelts, adjusts the passenger seat, and closes the windows and sunroof when it senses a pending collision. The driver assistance package, which runs $2,250, adds a suite of advanced safety features including active steering assist, active lane change assist, active emergency stop assist, active speed limit assist, active brake assist, and active blind spot assist. It’s a comprehensive package that adds numerous features for the price. 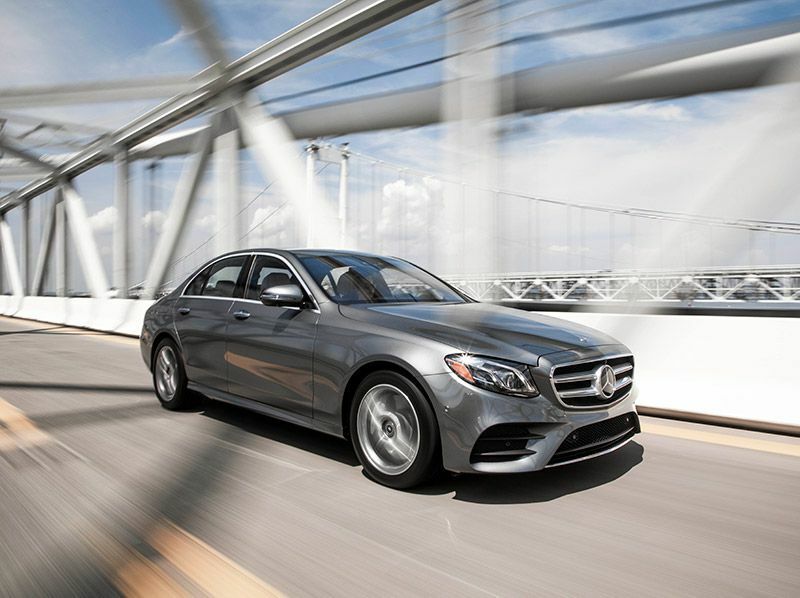 The 2019 Mercedes-Benz E-Class sedan offers the complete package for luxury buyers. A range of trims includes more affordable base models like the E300 and E450 along with exclusive performance-focused trims bearing the AMG badge. 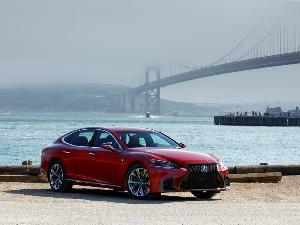 Options add up quickly, but even in their base configurations, these are well-equipped luxury cars. Regardless of which you choose, the E-Class is an elegant and powerful sedan that coddles its passengers. High safety ratings and a good range of standard and available safety features that don’t come with a price that breaks the budget add to its appeal. A fully featured infotainment system with a 12.3-inch screen enhances the E-Class’s upscale vibe, despite taking a little time to master. The Mercedes-Benz E450 is a solid choice for those looking to get behind the wheel of a luxury sedan.